Nerve Shield Review: Does This It Actually Promote Better Nerve Health? The company that produces this formulation is Redd Remedies. When creating its formulations, Redd Remedies carefully selects vitamins, minerals, and plants that are used in Western, Eastern, and Ayurvedic medicine and blends these selections with current research. The company works at creating neuropathy supplements to address health from a holistic point of view. The company supports their products by making a commitment to providing pure, quality supplements or products with all-natural ingredients. How Does Nerve Shield Work? Nerve Shield works by repairing damaged nerves that lead to recurring numbness and pain. To ensure satisfaction, the manufacturer suggests taking one tablet twice daily with meals. People who take the product usually experience results within 90 days. Therefore, the product is designed to support peripheral nervous system health. The formula protects the somatic nerves that are used in movement and at rest. The peripheral nervous system is made up of the autonomic nervous system and the somatic nervous system (SoNS). The autonomic nervous system involves involuntary body functions while the SoNS refers to voluntary nerve functions. The SoNS includes nerves that transmit signals from the brain and spinal cord or central nervous system. The SoNS also includes nerves that transmit signals from the body to the efferent and afferent nerves in the central nervous system. The efferent nerves contribute to muscle movement while the afferent nerves direct signals to the brain, thereby conveying certain sensations such as discomfort, cold, heat, or pain. The nerves in the SoNS are safeguarded by a myelin sheath that is made up of just over 75% lipids. The shield is therefore used to protect the neurons. The myelin sheath can become damaged by either illness or injury over time. It can also be weakened by a lack of vital nutrients. Nerve Shield, in response, supports nerve health by supplying nutrients to protect the nerve structure, increase circulation, and address any issues with inflammation. Both poor circulation and inflammation impair the absorption of nutrients that are needed for nerve health. The ingredients in the product play a major role in supporting healthy nerves. B-vitamins are included in Nerve Shield to maintain the structural integrity of the myelin sheath’s lipids. The myelin sheath is a plasma-type membrane that wraps spirally around a nerve axon. Alpha lipoic acid supports normal nerve functioning, especially autonomic neuropathy, which affects the internal organs and the nerves. Acetyl L-carnitine supports the fiber structure of the nerve and serves as an antioxidant. The ingredient promotes the creation of glutathione, which is a free radical scavenger inside the cells. When used as a supplement, this ingredient supports central nervous system health. Phosphatidyl choline contains lipids that make up approximately 75% of the myelin sheath. Huang Bai and Cang Zhu are used in traditional Chinese medicine and support regular circulation. They have been used to treat jaundice or joint inflammation. Chinese Skullcap and Turmeric support cellular growth and fight inflammation. The product supports better circulation. The alpha lipoic acid in the product promotes healthy circulation to the peripheral nervous system. By encouraging better circulation, regular nerve conduction is realized after 90 days. The supplement safeguards the myelin sheath. The myelin sheath can be gradually destroyed by free radical damage. As a result, the myelin sheath is especially susceptible to this type of oxidative distress. The alpha lipoic acid in Nerve Shield is a potent antioxidant as it is both fat-soluble and water- It can also repurpose antioxidants such as vitamins E or C. By safeguarding the myelin sheath, the product prevents a number of events that can lead to nerve issues. 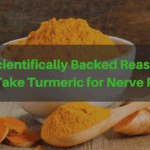 Turmeric in the product supports the circulation and nerves. The supplement addresses problems with inflammation. Ingredients in the product promote normal inflammatory pathways. The vitamin B6 in the product improves the development of the myelin sheath. This support boosts the ability of the product to conduct neural impulses. Vitamin B12 in Nerve Shield maintains the balance of fatty acids in the myelin. This assists in the treatment of nervous system disorders. Folic acid in Nerve Shield improves neuropathy symptoms. All in all, Nerve Shield is a synergistic formulation. 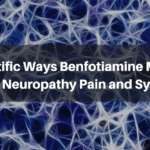 By using a combination of essential vitamins, antioxidants, amino acids, and vitamins, the product holistically reduces the incidence of many pain-related neural conditions. Because the supplement is made with wholesome all-natural ingredients, patients do not complain of unwanted side effects. The product works holistically and naturally in the body to resolve complaints due to nerve damage, inflammation, and neural pain. While it is difficult to find many people who dislike Nerve Shield, the product did not meet the expectations of some consumers. For example, one customer commented that his nerve damage resulted from an injury. He said that taking the supplement did not do anything to alleviate the pain. Another customer said that Nerve Shield did not help her neuropathy. To make sure that you obtain full benefits from the supplement, however, you have to give it time to work in your system. For example, you need to use the supplement for 90 days to experience results. The customers who complained did not comment on how long they had taken the product. Most customers have been pleased with their experiences when taking Nerve Shield regularly. For example, one customer whose neuropathy symptoms subsided after taking it tried another product. When she did, she realized that she had made a mistake. Therefore, she restarted her regimen of taking Nerve Shield again. Here is her comment – “I know I will soon be regaining the feeling in my feet, never to be without this wonderful product again.” – Millie B. Another consumer had been taking prescription drugs before taking Nerve Shield. Moreover, her daughter experienced neuropathy symptoms as well. She said: “I’m convinced [Nerve Shield] will continue to improve our condition, and alleviate pain. . . .” – Carol S.
One customer bought the product for a spouse who suffers from trigeminal neuralgia (TN). She said that he stopped taking his prescription drug after taking the product. 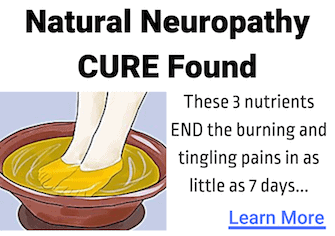 Another user said that he used the product for two months and his neuropathy symptoms subsided. After he stopped taking the product, the symptoms returned. He said, “I have been using [Nerve Shield] again and the pain and sensitivity [are reduced]. I surely will keep taking this product in the future.” – Phil B. Most customers like the fact that they do not experience side effects, a common occurrence when a person takes prescription medications. You can get your money back if you are not satisfied with the product or wish to return it. You need to inquire about the exact terms when ordering. Normally, if you return the unused portion within 30 days of delivery (and include your invoice), you will receive a refund. Suppliers will not accept bottles that are completely empty. Nerve Shield is an excellent all-natural supplement to use for complaints about neuropathy or for anyone who has nerve-related pain. You just have to be aware that the supplement must be taken for 90 days to see results. Therefore, you must be patient when taking the supplement. The results will not be immediate. Many consumers have experienced good results when taking the supplement. The product, which is an all-natural product, is synergistically created to target neural functioning so that pain is relieved and further nerve damage is reduced. Because it contains potent antioxidants, it can prevent the oxidative stress that occurs from free radical damage. 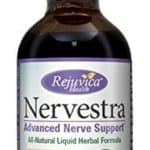 If you are seeking for a way to reduce symptoms of neuropathy or nerve-related pain and you do not want to experience side effects, you may want to consider taking this supplement. 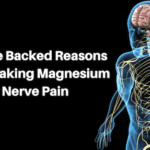 Because the product directly addresses myelin sheath damage, its ingredients can assist in stopping the debilitating symptoms that are associated with neuropathy. The formulation is designed so the nutrients in the product are directed to where they are required. Therefore, it does not matter the reason for the neuropathy. It can be addressed by this all-inclusive blend of ingredients. After all, when a product is used to repair damage to the major shield (myelin sheath) of the neural system, it can also address any signaling difficulties among the nerves. Nerve Shield is available for sale on the Amazon website. The average price on Amazon is $47.99 (including free shipping). This price is set for a 60-day supply. Amazon Prime members can buy the product for as low as $25.59. You can also buy the same product (60 tablets) on the Walmart website for the Amazon Prime price of $25.59. Individual suppliers such as LuckyVitamin and HealthyPlanet sell the 60-tablet bottle of Nerve Shield on their sites for $47.99. Therefore, the highest price you will pay is $47.99 while the discounted cost is $25.59. Nerve Renew is another all-natural supplement that may be considered in addition to Nerve Shield. This product is made up of vitamin B1, vitamin B2, vitamin B6, alpha lipoic acid, and vitamin D. It also contains a proprietary blend of feverfew extract, passionflower extract, skullcap, and oat straw extract. According to the manufacturer, the vitamin B formulation in this supplement is much more bioavailable than the vitamin B formulations found in other similar supplements. This product has been near-infrared (NIR) assessed for purity and quality. It has also been screened for contaminants. While the company claims that results may be experienced in as little as one week’s time, it suggests that you take the supplement routinely for 120 days to achieve the best results. No reports have been made about any side effects from the product.